Sorry for the short posting hiatus – it has been a bit of a crazy week. 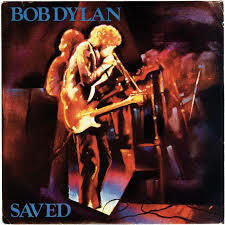 I’m going to combine the three posts I had scheduled into one mega-post on Saved, the second of Bob Dylan’s Christian albums. So, first, of all: I had never listened to this album before this week. I am pretty sure that the only song I had ever even heard from this album was “Solid Rock”, which is the penultimate track on the second side of the last disc of Biograph (that collection really spurns this period of his career). Since Sunday I have probably listened to this album more than I listened to any other Dylan album this year (partly because I had an issue migrating some 1980 concert performances to my phone, so it has been my constant companion when I’m riding to and from work or driving in my car). Indeed, for the past several days I have had a number of these songs stuck in my head. This very second I have “Pressing On” running on a loop through my brain. Let’s get this out of the way: I like this album. I might even really like this album. I know that it’s supposed to be one of his worst, but I don’t agree with that at all (caveat: the version I have, from Complete Album Collection, has been remastered – the original release may have sounded horrible – I don’t know). Let’s take a look. Ok, this is the worst of any Bob Dylan covers. Painted by Tony Wright, I find it garish and horrible. I mean, just generally repulsive. It sort of makes me queasy and uncomfortable. Just the worst thing ever. 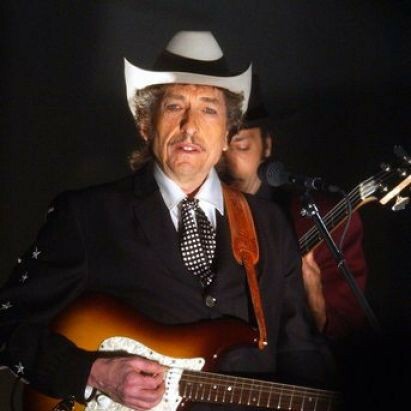 When the album was re-released it had a new cover, and that’s the cover that can be found on Dylan’s website, so maybe even he doesn’t like it anymore. The new cover is not good, but at least it’s not the original. Wow. Terrible. But the way Dylan sings this just slays me. He belts out the “Well, I’m hanging on!”, then a pause for “To a solid rock!” and then the catchy part: “Made” big pause. “Before” big pause. “The foundation” big pause. “Of” big pause” “Of the world!”. It’s almost chanted by him and the background singers. For some reason, I love this. The verses aren’t very good (“nations are angry, cursed are some”) but that chorus gets me every time! This song charted nowhere in the whole world. 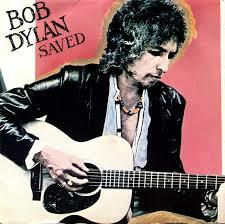 “Saved”, the title track, is my second favourite song on the whole album. They were on a roll!. This is a happy, poppy, gospel tune: “And I’m so glad, Yes, I’m so glad, I’m so glad, So glad, I want to thank You, Lord, I just want to thank You, Lord, Thank You, Lord!”. I can’t believe that people actually dislike this song. Yes, you can find similar gospel songs done just as well, and a whole lot better, but a lot of gospel groups, but that doesn’t mean that happy Dylan isn’t worth listening to. The album opens with one of its weaker tracks, the cover of Red Hayes and Jack Rhodes’ “A Satisfied Mind”. This has been done better elsewhere. It then leaps into “Saved”, and actually this song is probably all the better because it is such a departure from “A Satisfied Mind”. From a certain perspective the first song isn’t so much a throw away as it is a set-up for the better song. “Covenant Woman” is definitely the song I like least on the album. It has never clicked for me. I can’t sing it right now, and I can’t come to terms with the phrasing. Lyrically it’s scrawny and as a love song it’s one of his weakest. “What Can I Do for You?”, which is another love song to God, puts it in its place. This is really quite a lovely song, even though the orchestration is a little dated now. The harmonica piece at the end, which is entirely played at the high end of the register, is a bit reedy, but it is also some of his best playing in years. The thin, plaintive notes that come right at the end when the music drops out, may in fact be the best harmonica playing that he has done on any of his albums yet. 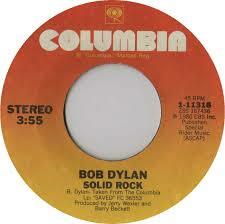 “Pressing On” is a song that he used to end a lot of his shows in 1980. It’s an above average song, that starts slow and becomes really great by the conclusion. “In the Garden” is another one that has really become stuck in my head all week, and which I think is probably under-valued because its message is so bluntly Christian. The exact same can be said of “Saving Grace”. The final song, “Are You Ready?”, is one that I don’t think works very well – musically this one may be the most dated thing on the whole album. 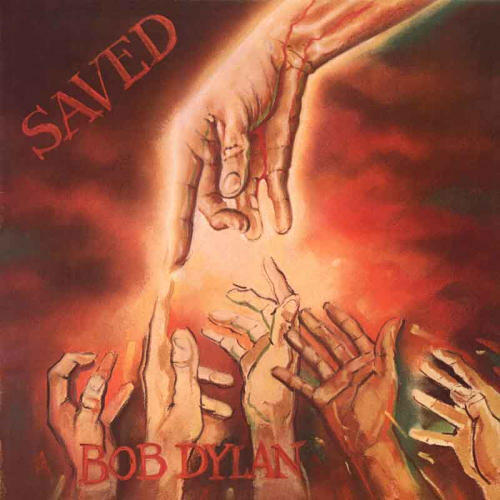 It occurred to me this morning that if this album had been released by an unknown it would have been praised as a great mix of Dylanish stylings and gospel, but since it was by Dylan this is considered a complete failure (two stars from AllMusic, the shortest Wikipedia entry of any Dylan album ever). I don’t think so. If you actually listen to this one with an open mind, it is a really good album. The fact that it is a really good Christian album seems to be its main problem. God help me, but I like it!